Page Four from nine days in SE Arizona with my friends Ed Boyd, Jim Brighton, Tom Feild, Hans Holbrook, Bob Ringler, and Jim Stasz. Last updated: 8/23/2008. 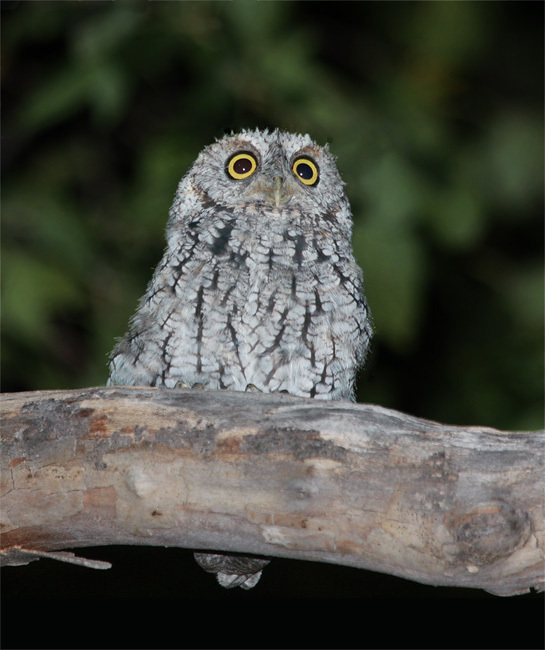 Above: A Whiskered Screech-Owl in the Chiricahua Mountains of Arizona (8/7/2008). 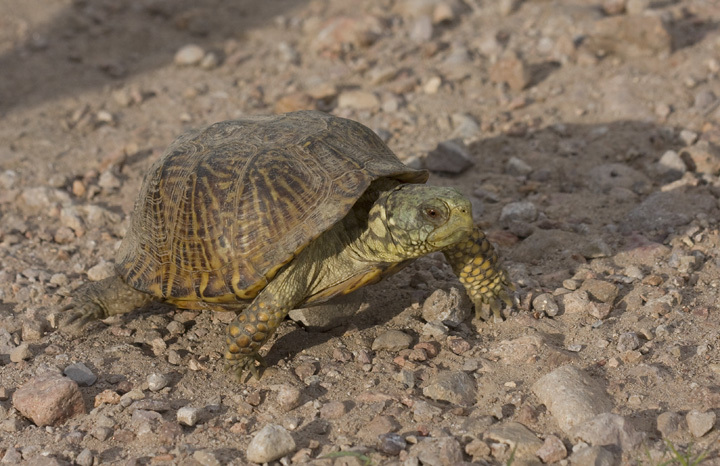 Below: An Ornate Box Turtle in a stretch of desert in southeastern Arizona (8/6/2008). 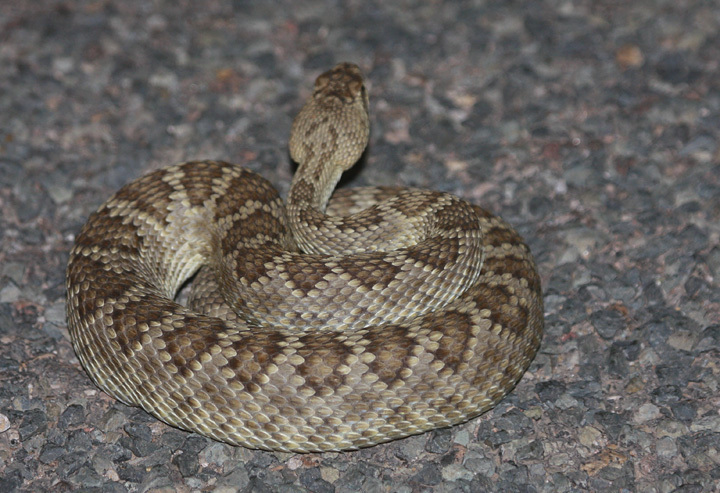 Below: Mohave Rattlesnakes in southeastern Arizona (8/7/2008). 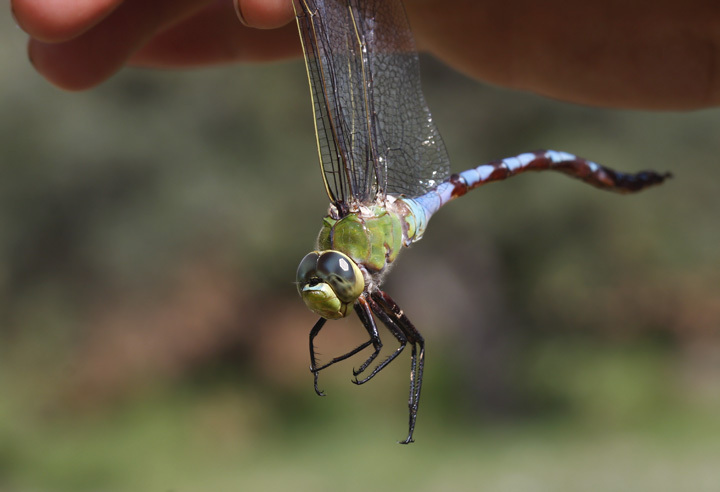 Below: A male green-backed Lesser Goldfinch in Madera Canyon, Arizona (8/3/2008). 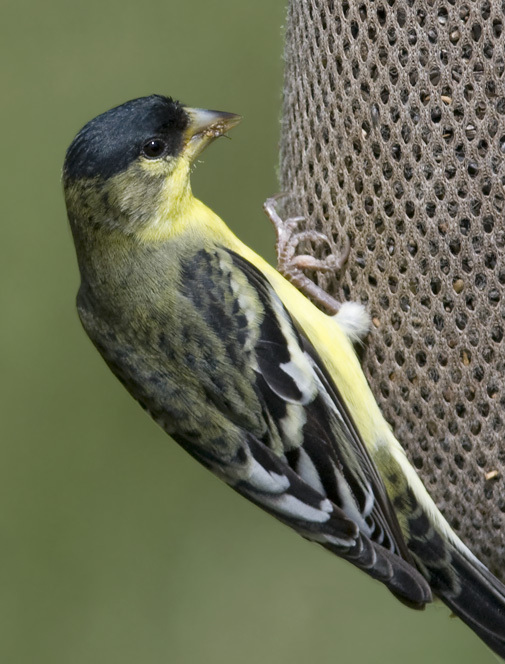 Both green-backed and black-backed Lesser Goldfinches were common during this visit. 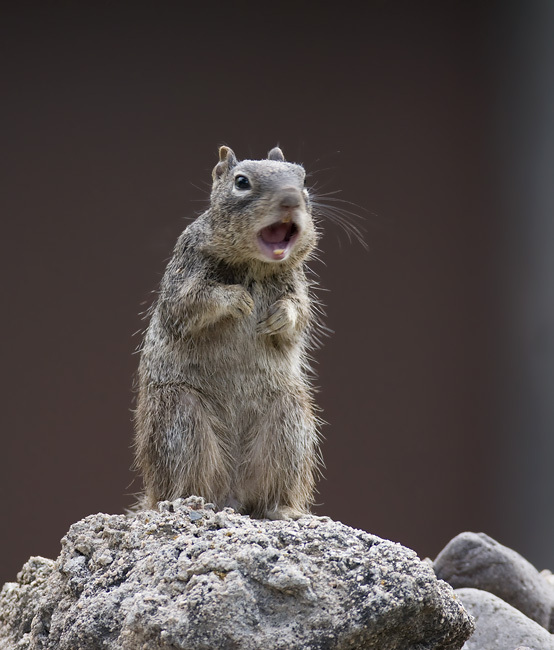 Below: A Rock Squirrel proclaims his territory in the Chiricahua foothills at Cave Creek (8/8/2008). 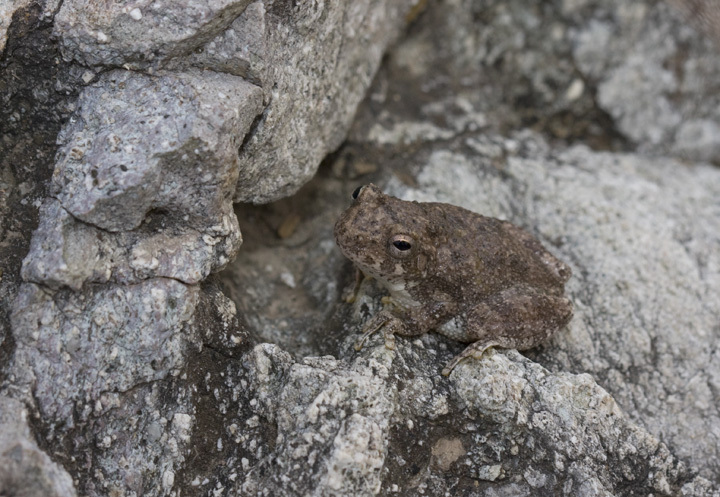 Below two: A Canyon Treefrog in southernmost Arizona (8/4/2008). 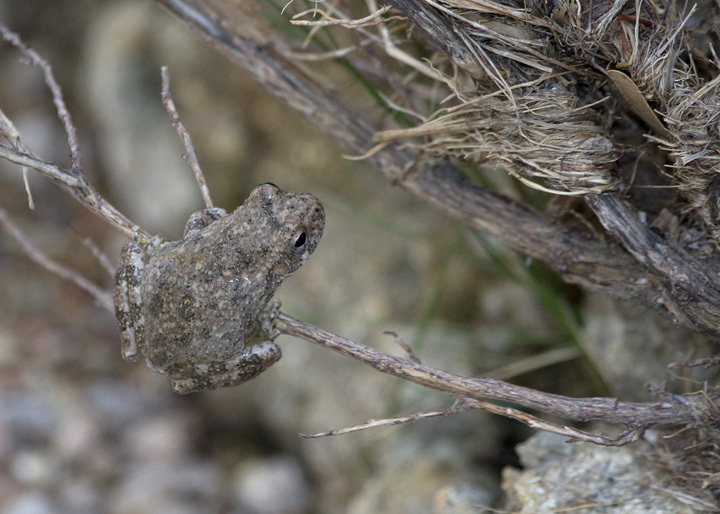 The individuals here surprised us in shifting color to nearly pure white in response to that background color. 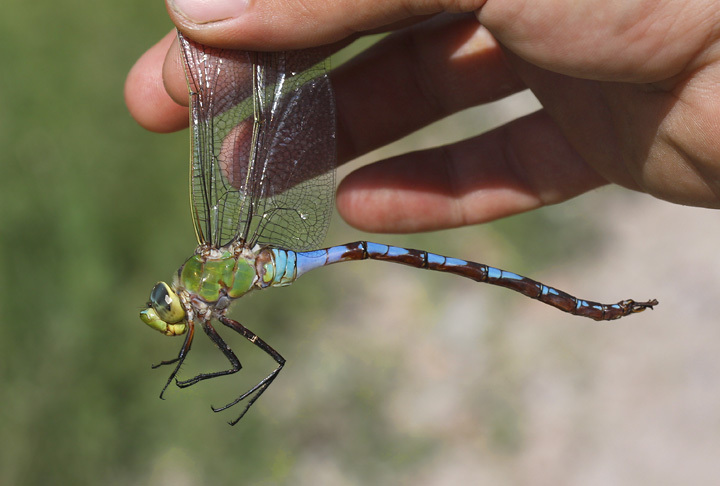 Below: A Flame Skimmer near Gillespie Dam, Arizona (8/2/2008). 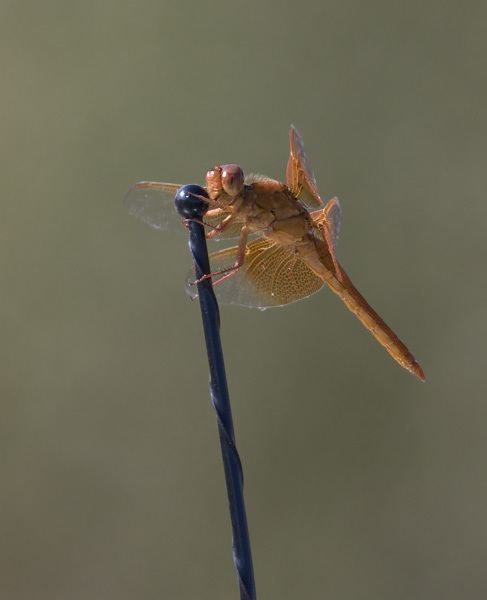 Below: A Springwater Dancer near Madera Canyon, Arizona (8/3/2008). 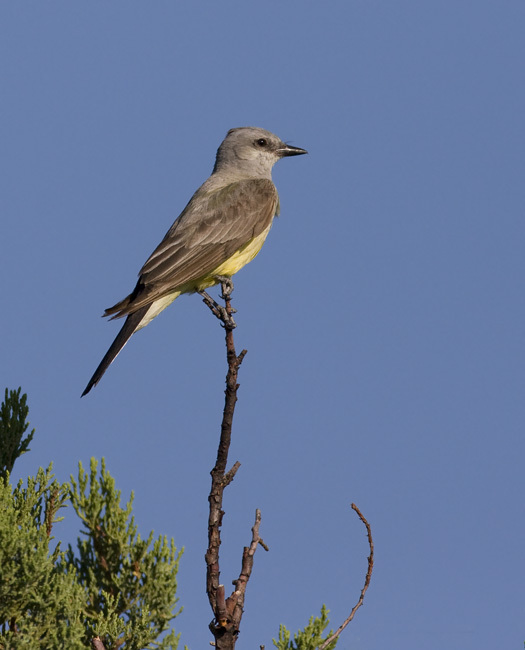 Below: A Western Kingbird in southern Arizona (8/8/2008). 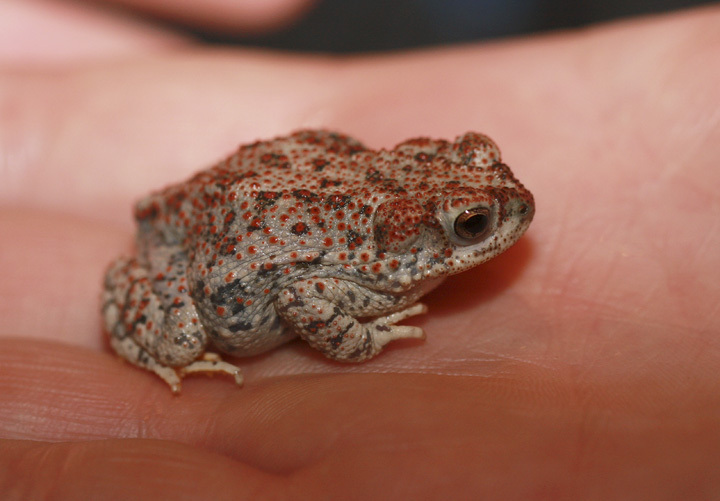 Below: A Red-spotted Toad near Nogales, Arizona (8/3/2008). 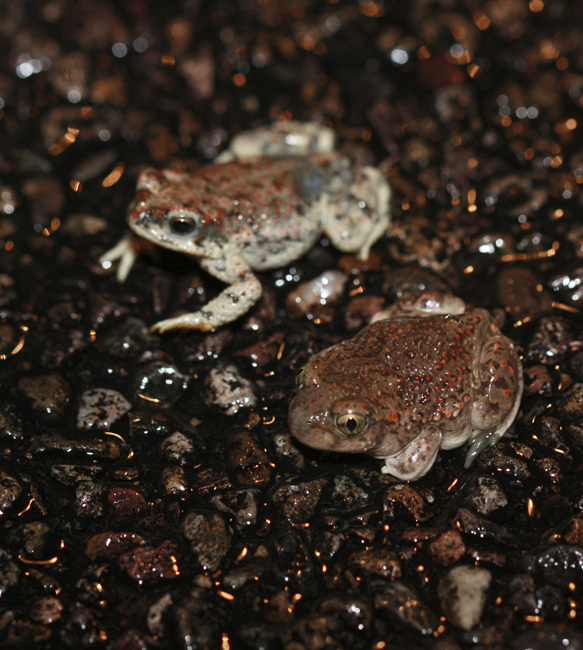 Below: A comparison of a Red-spotted Toad (above) and a Mexican Spadefoot (near Nogales, Arizona, 8/3/2008). 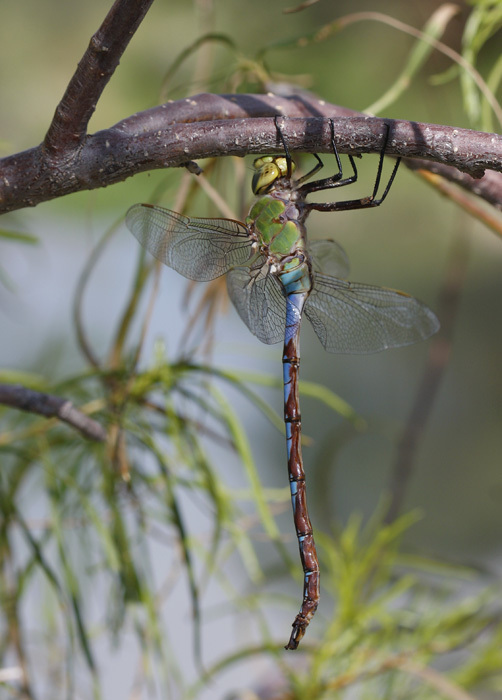 Below: The impressive Giant Darner is one of the largest Odonates in North America. 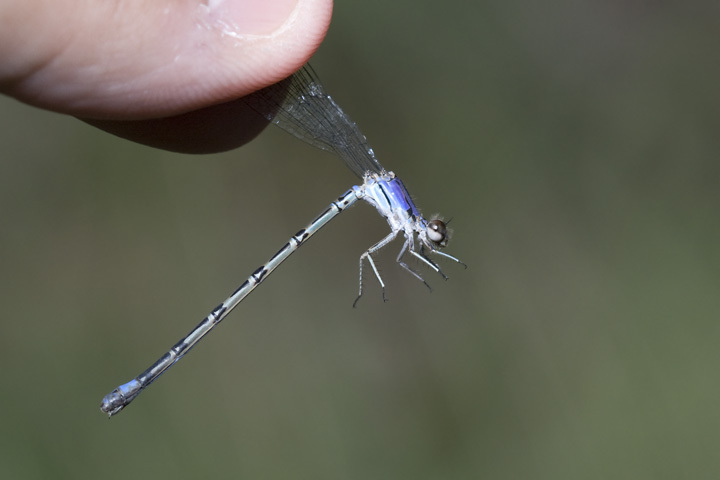 This beauty was one of the many entomological highlights of the trip (southeastern Arizona, 8/8/2008). 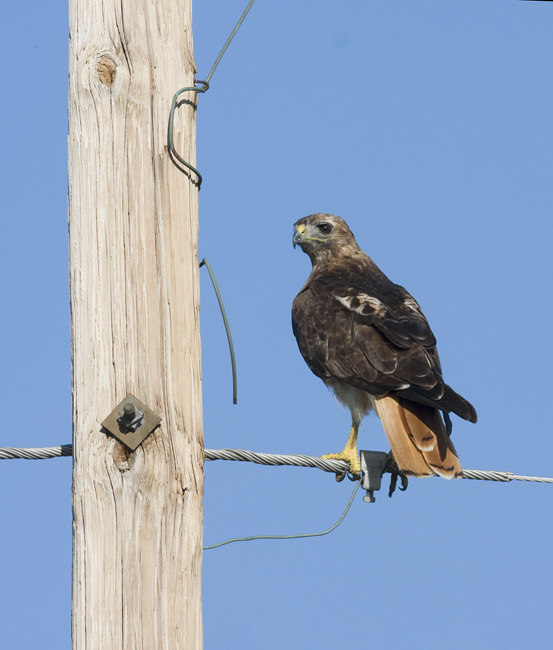 Below: A western Red-tailed Hawk in southeastern Arizona (8/6/2008). 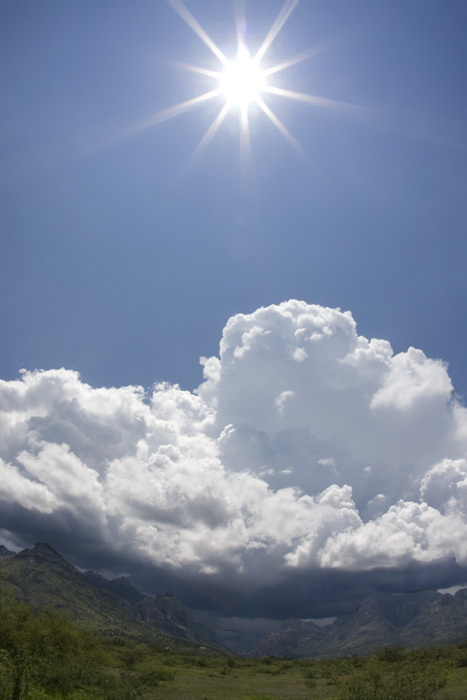 Below: A breathtaking view from just east of the Chiricahuas, a storm quickly approaching from the west. 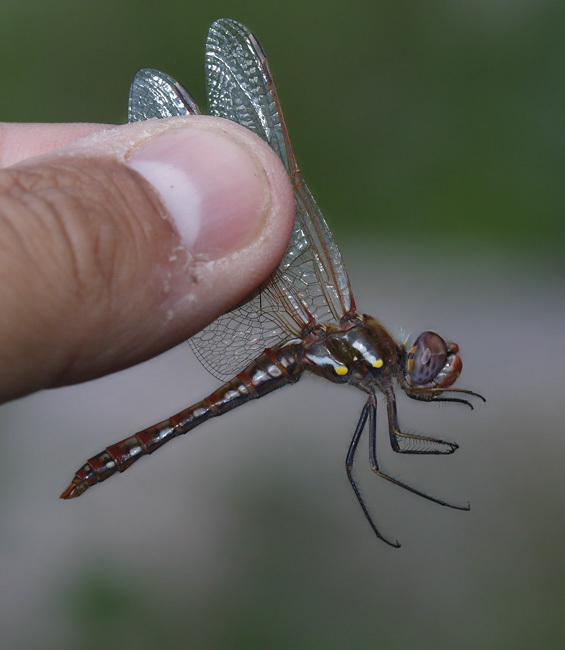 Below: A Variegated Meadowhawk in the foothills of the Chiricahuas (8/8/2008). 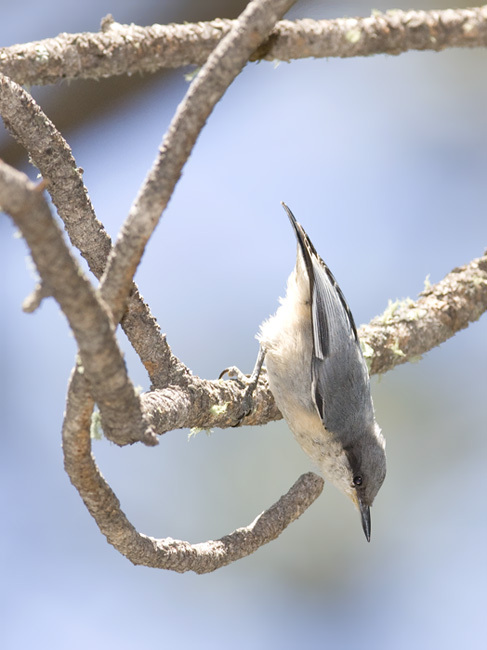 Below: A Pygmy Nuthatch near Barfoot Park in the Chiricahuas, Arizona (8/7/2008). 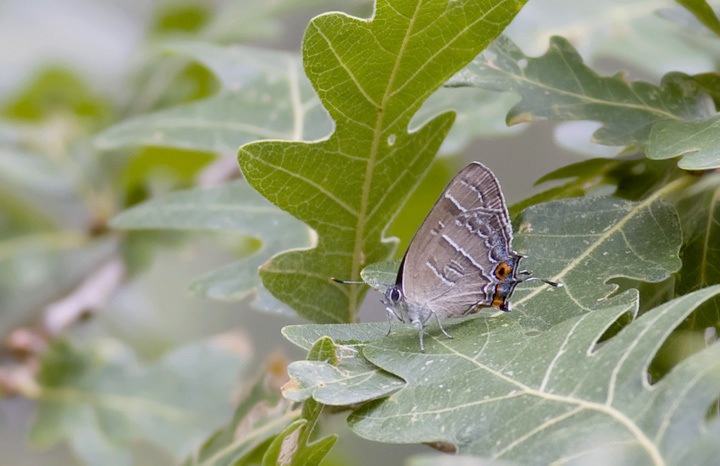 Below: A Colorado Hairstreak in the Chiricahuas (8/9/2008). 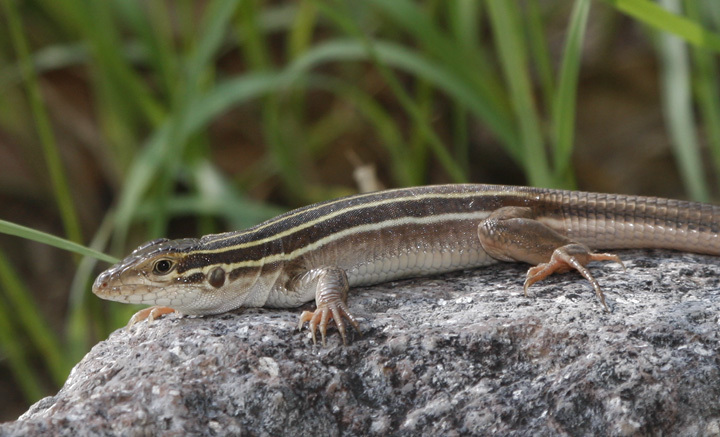 Below two: A Desert Grassland Whiptail in southeastern Arizona (8/8/2008). 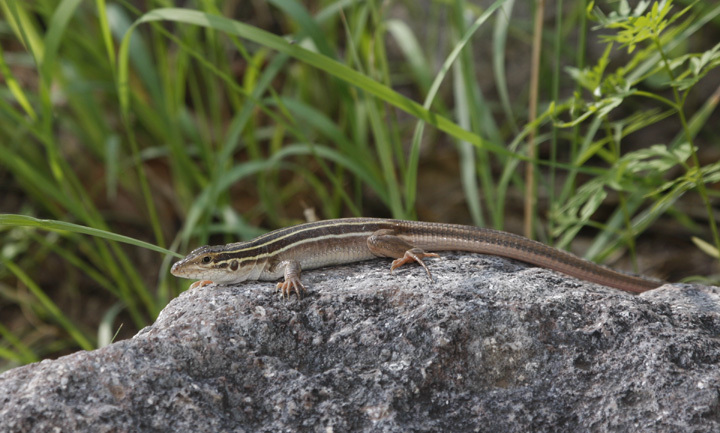 This was one of the more widespread reptiles we encountered during our trip. 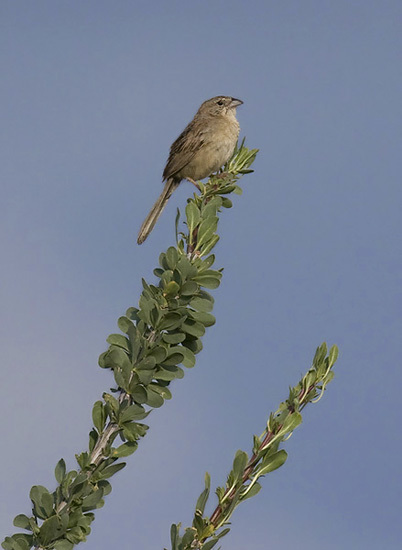 Below: A Botteri's Sparrow pauses between songs atop an Ocatillo in Madera Canyon, Arizona (8/3/2008). 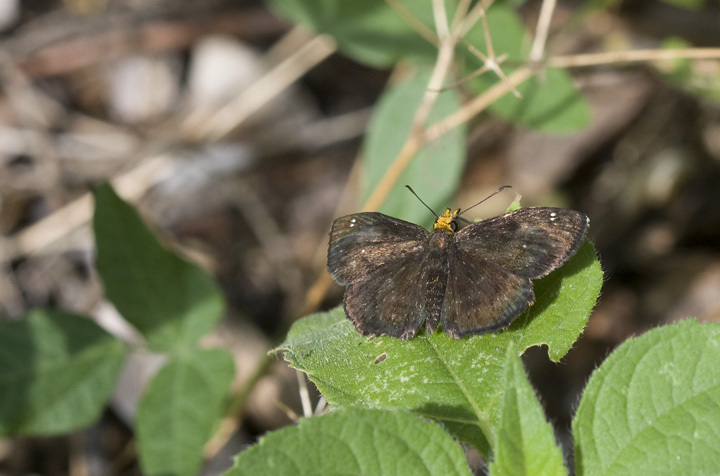 Below: An Orange-headed Scallopwing in Madera Canyon, Arizona (8/3/2008). 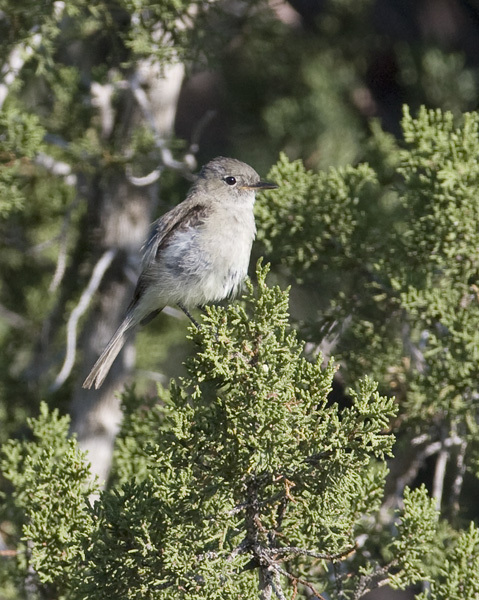 Below: A migrant Gray Flycatcher near the town of Paradise in the Chiricahuas (8/7/2008). 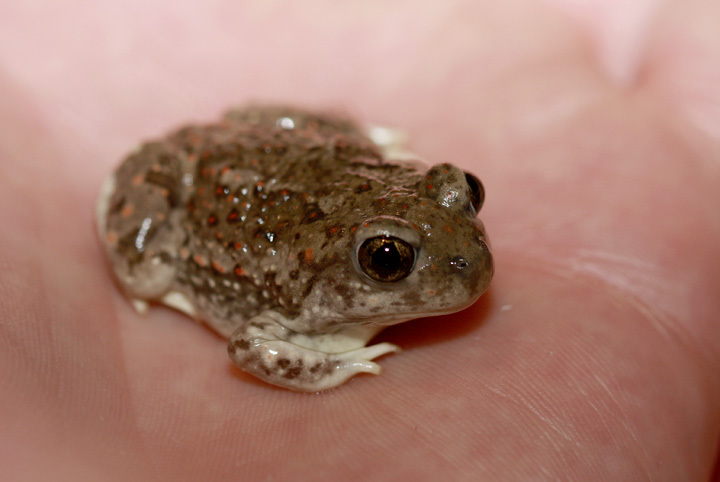 Below: A Mexican Spadefoot near Nogales, Arizona (8/4/2008). 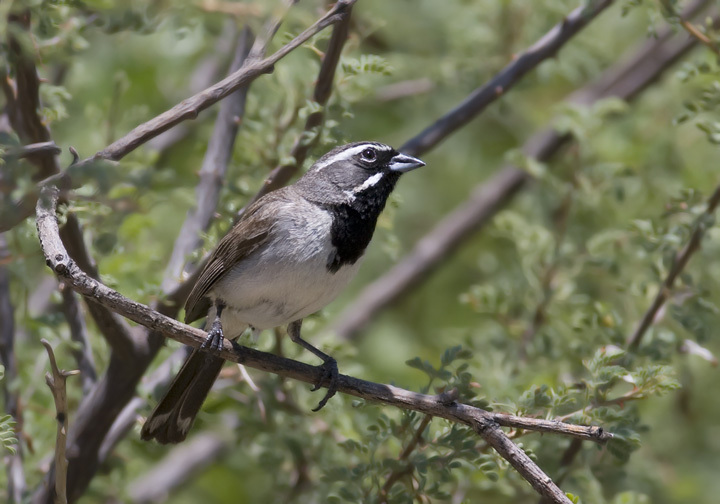 Below: A Black-throated Sparrow near the Big Thicket, Arizona (8/8/2008). 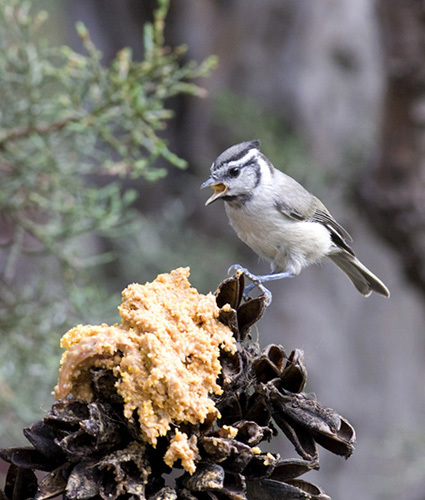 Below: A Bridled Titmouse raiding the peanut butter at the George Walker house in the Chiricahuas (8/7/2008). 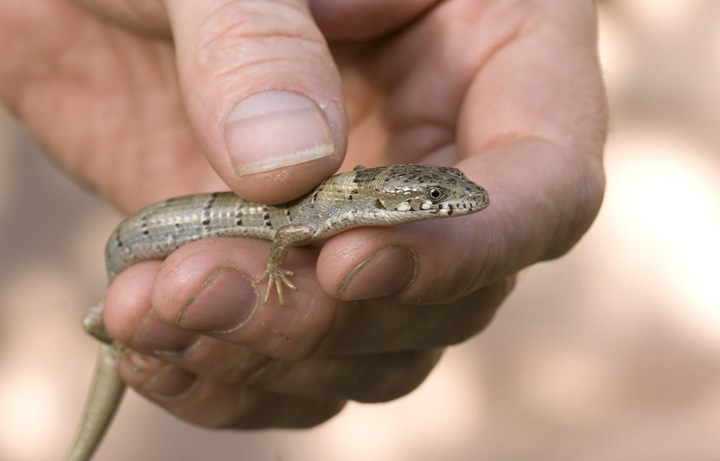 Below: A Madrean Alligator Lizard in the foothills of the Chiricahuas, another reptile highlight (8/7/2008). 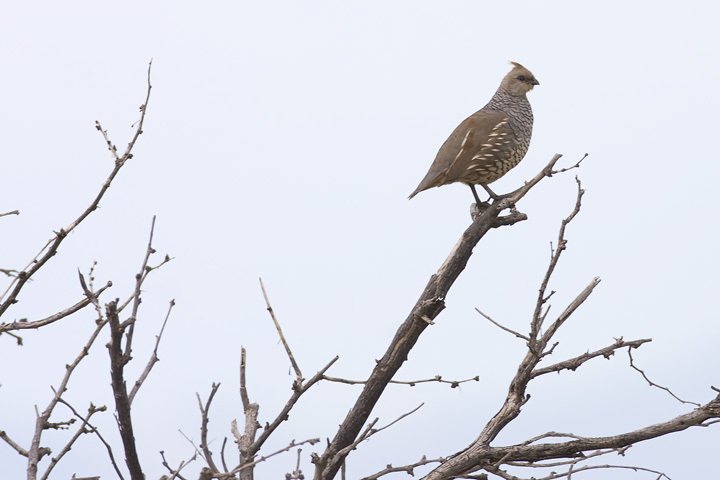 Below: A Scaled Quail calling from an exposed perch in a southern Arizona desert (8/7/2008). 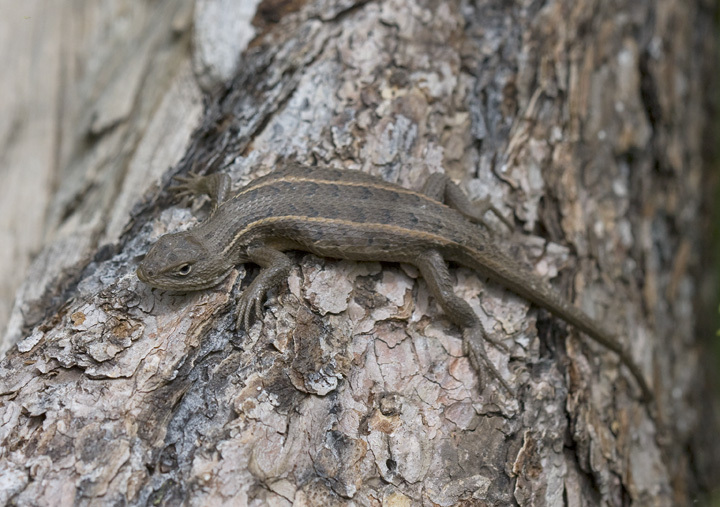 Below: The Striped Plateau Lizard is a high-elevation specialist found only very locally in the U.S. (8/7/2008). 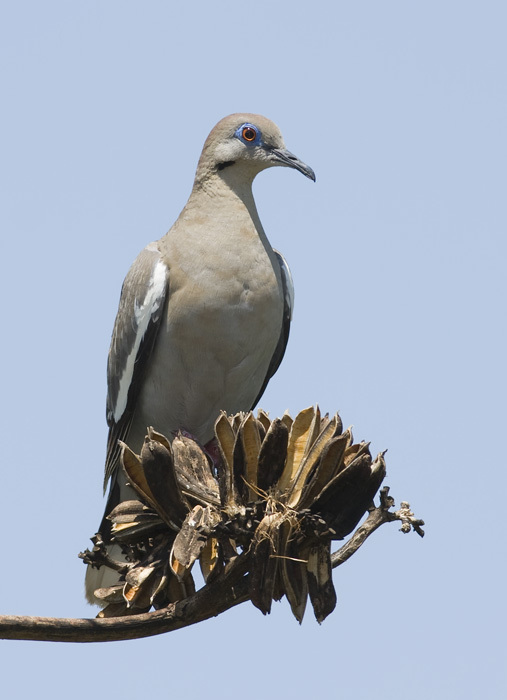 Below: A White-winged Dove near Portal, Arizona (8/8/2008). 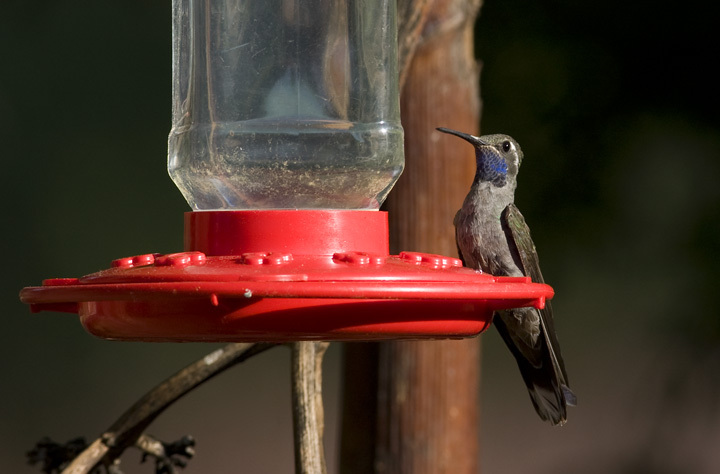 Below: A Blue-throated Hummingbird at Cave Creek, Arizona (8/7/2008). 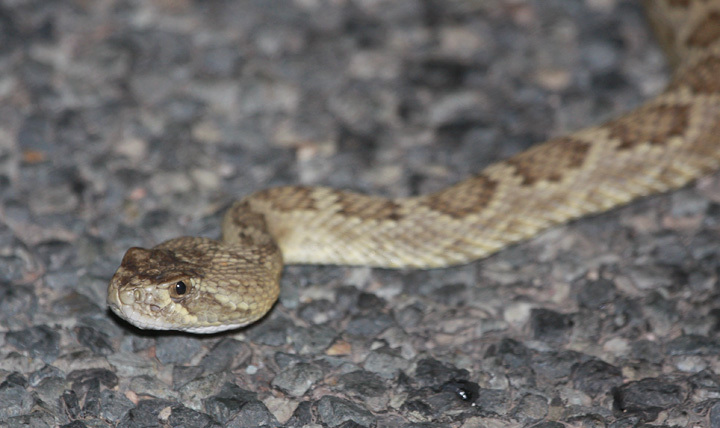 This large and attractive species eluded my lens for most of the trip, but finally posed for a moment during a late afternoon beer. Well, I had the beer... he stayed with the usual. Below: The missing link! 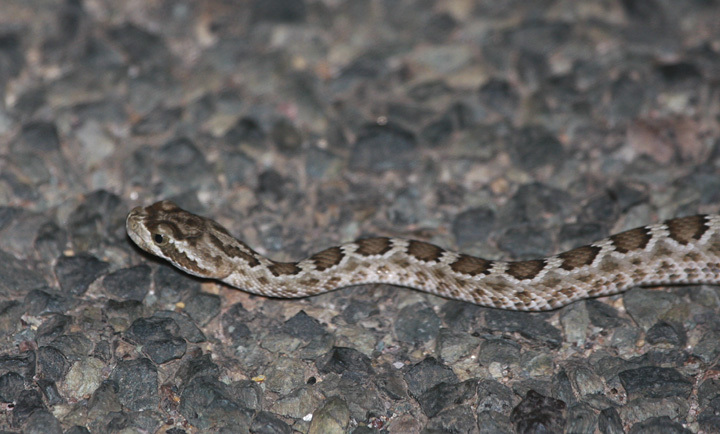 Jim Brighton found these incredibly strange creatures during a night outing in a stretch of desert in southeastern Arizona (8/6/2008). 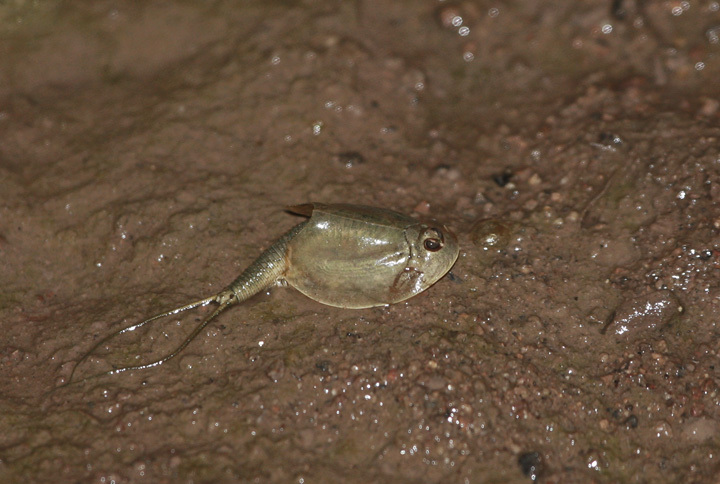 Tom Feild later did the research and identified it as a Tadpole Shrimp (Order Notostraca). 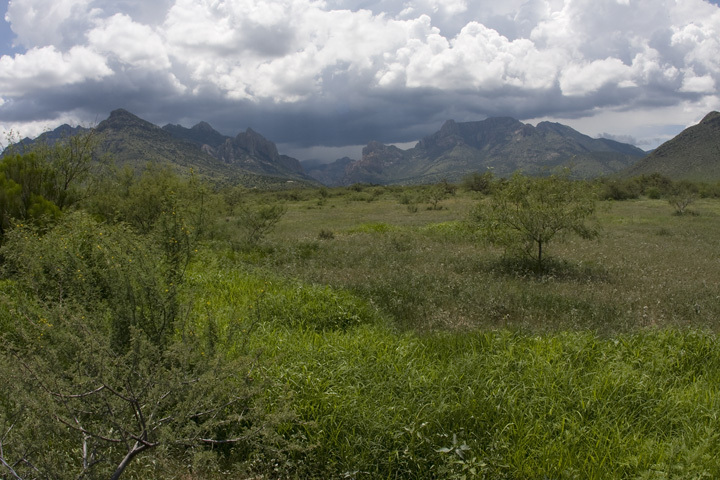 Below: An unforgettable landscape at the base of the Chiricahuas.